Hello Doodlebug Fans, it's Brigit here. 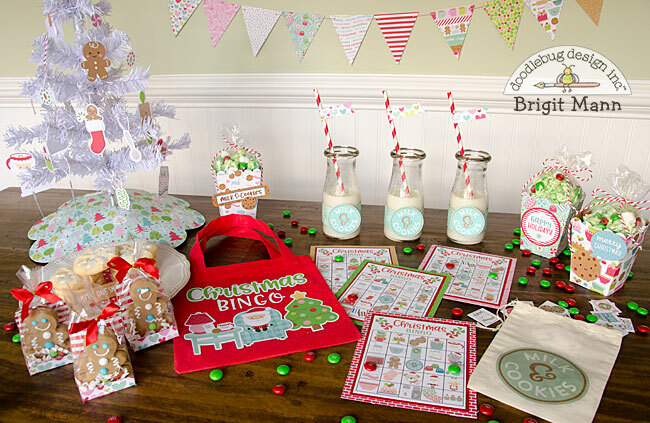 I'd like to share my Christmas Bingo Party using Doodlebug's Milk & Cookies collection. I had so much fun putting together all these projects for this sweet party, loved working with all the adorable papers, stickers, svg's, etc from this collection. 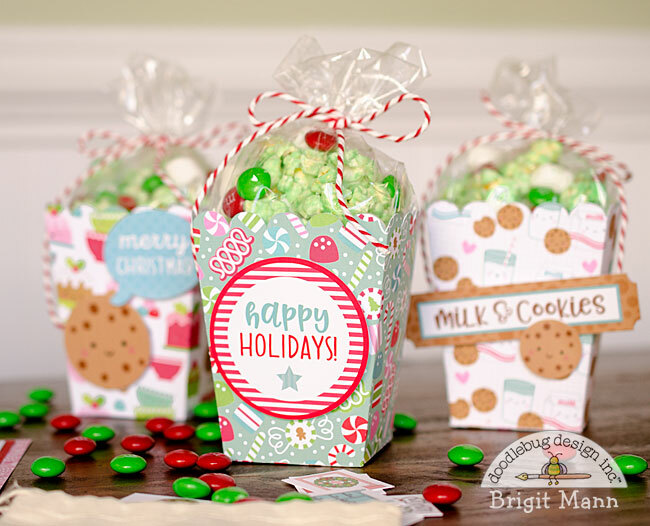 Bingo, milk & cookies, Christmas popcorn, gingerbread, m&m's, just a whole lot of Doodlebug goodness going on here! 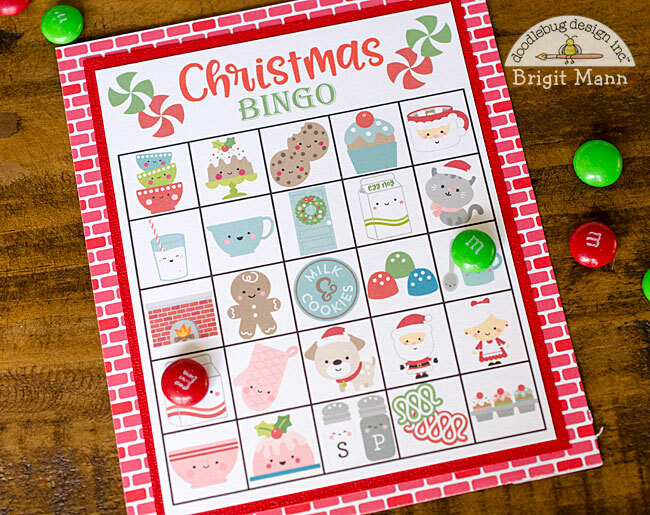 I created the bingo cards in Silhouette Studio and used the milk & cookies svg collection from Lori Whitlock's shop, you can also get Doodlebug cut files from the Silhouette Design Store. I sized each one to fit into the squares and then printed them out. For the muslin bag I printed the milk & cookies label on a t-shirt transfer sheet and used my Cricut easy press to iron it on, this holds the bingo draw cards that I also made in Silhouette Studio. 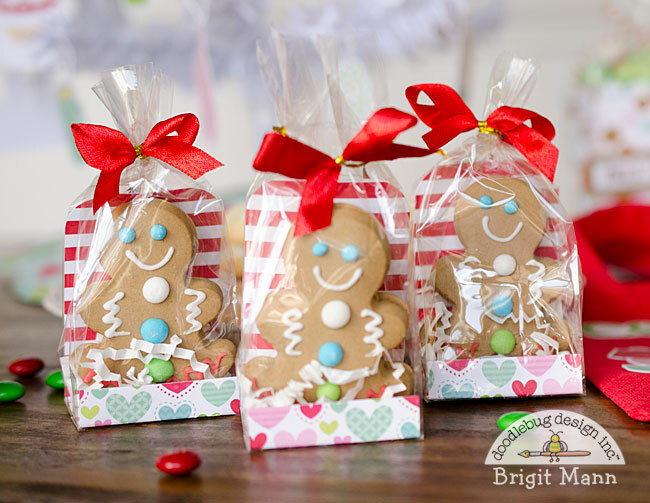 For some tasty treats, I picked up some gingerbread cookies and packaged them using a sheet of jolly gingerbread and some clear bags. I printed and cut a couple of the milk & cookies svg's and cut a some bands from the milk and cookies paper. 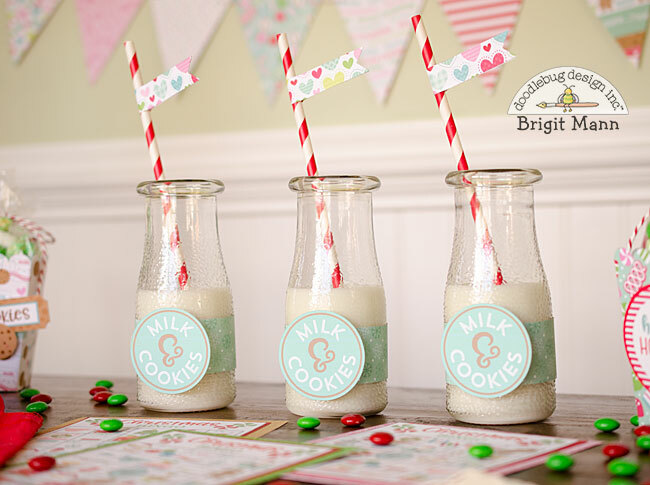 I also added banners cut from the jolly gingerbread paper onto each straw. Can't have a party without popcorn and since it's for Christmas I melted some white chocolate and add green food coloring to mix through the popcorn. I also added some of the red and green m&m's and mini marshmallows. The paper I used for the boxes are candy christmas, milk & cookies, santa's sweets and some milk & cookies this and that stickers. The printed cards measure 4.25" x 5.25" and each one is matted with sweetheart cardstock and paper from the 6 x 6 paper pad. The red bag that holds all the bingo game pieces is decorated with some odds & ends and lily white abigail stickers. 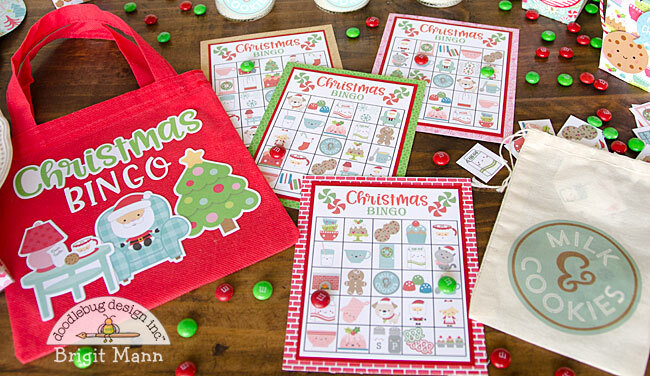 I bought the bag from the Dollar Tree, all the pieces fit nicely inside, this makes such a fun gift for a child. For the banner and Christmas tree skirt shown in the photo above, I used the 12 x 12 paper pack. 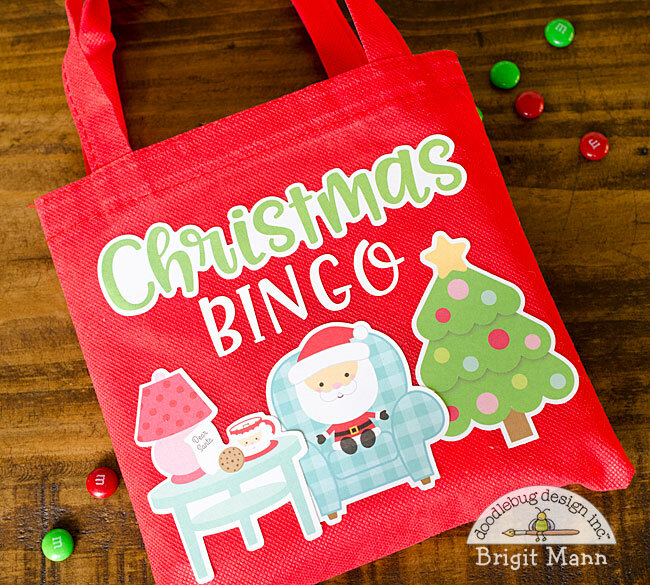 Hope you've enjoyed this Christmas Bingo Party! Thanks for stopping by and have a wonderful day! This is such a fun party set!!! I love every little detail! Wow Brigit!! This is just perfect! Love your eye for detail! Such a fun party idea! LOVE the bingo cards!